Time to do some quick reviews on recently consumed wines. It’s Thanksgiving time and I’ll post my wine tips column to the blog tomorrow (11-22-11). 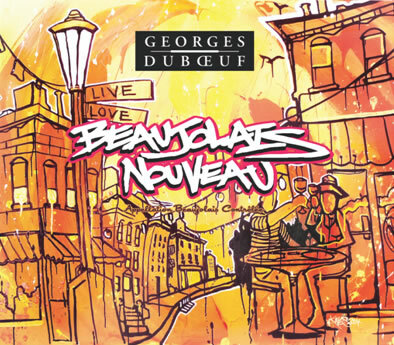 Georges Dugoeuf 2011 Beaujolais Nouveau – A few friends and I popped open the third-Thursday-of-November specialty and were pleasantly suprised. I’ve sang the praises of the Beaujolais Grand Cru wines on numerous occasional while generally dismissive of the Nouveau. You will find that pattern with a lot of wine critics. And if you want a wine with a little more character and balance, the Grand Cru Beaujolais is still the better buy and a great value. All of that being said, I really liked the 2011 Nouveau and so did my wine-drinking friends. This wine had less of the musty characteristic that often plagues Gamay for my palate. The fruit seemed fresher than the two previous years and there was a little spice or pepper. Beaujolais producers always seem to proclaim the latest vintage as ‘best ever” or other such platitudes. I’ve tasted the Nouveau for 3-4 straight years and this is easily the best of the batch. It’s easy to find and very affordable at $10. And yes, it does make a good Thanksgiving pairing. This is an excellent choice if you have non-wine drinkers or not sure what to put on the table. Tuesday, Nov. 22 Update: I just read a great piece in the Los Angeles Times about the Beaujolais region and its wines. You can read the story here. Oreste Strappiano 2009 Langhe Rosso – Wow! What a fabulous bottle of wine. This is a table blend from the very best region of Italy’s Piedmont region. The wine features Dolcetto, Nebbiolo, and Barbera. I could find very little on the internet about the winery or the wine but didn’t need any support to proclaim this one of the more unique and tasty glasses of wine that I’ve enjoyed in a long time. Now, with Nebbiolo and Barbera you’d expect a bigger wine. But this was light and rich on the palate and in some ways reminded me of Pinot Noir. The acid was really kept in check and the wine was beautifully balanced. I paid about $25 for this bottle at Vino 100 in Columbus, Ohio. I’ve not seen it in Indiana but would love to buy some more. (Oreste Strappiano 2009 Lange Rosso, $25, Very Highly Recommended. Buried Cane 2008 Heartwood Red Wine – This is a really nice blend of 78 percent Syrah, 10 percent Grenache, 7 percent Mourvedre, 5 percent Counoise from Washington State. The majority of the Buried Cane line (which I have reviewed a few previously) is value priced at $14 this wine is worth the $25 price tag. These Rhone style blends can be all over the place but the rich Washington grapes and winemakers’ skill makes this a great red wine. I liked the lush dark fruit and hints of chocolate. It was big and bold enough to please that crowd but smooth enough for any wine drinker. Another dynamite effort from the Buried Cane folks. Paolo Scavino Rosso Vino da Tavola – Here is another Italian with the same grape blend of Nebbiolo, Barbera and Dolcetto that’s quite nice but not the same quality as the Oreste Strappiano above — except this producer throws in some Merlot to bring it all together or mask the differences. Now despite that cheap shot, this is pretty good Italian table wine and available in Indiana and other midwestern states. This is good wine for under $15 and will definitely pair with some great pasta. It is pretty acidic to my palate and I’m a guy who normally likes acid. This is a nice wine but if you can find the Strappiano – and will spring another $10 – the Strappiano is far more than $10 better! Ancient Peaks 2010 Sauvignon Blanc – If you like a nice tart white wine with those sweet seafood dishes you’re going to really like Ancient Peaks Sauv Blanc. Count me in. This Paso Robles winery really serves up a tart Sauv Blanc with prounounced grapefruit and citrus. The acid backs off a little as the bottle opens up. I paired it with a relatively simple shrimp salad with a mayonaise base and some herbs and it was really great. Now, this wine will be tart for some drinkers but paired with seafood, it’s very satisfying.